Maintaining proper sleep hygiene is essential for daytime function. These physical factors in your bedroom can be easily adjusted, such as the darkness at night, light exposure in the morning, temperatures, noise, and electronics. It may come as a surprise that even small factors in your sleep environment can affect the quality of your nighttime sleep. Maintaining proper sleep hygiene is essential for daytime function. These physical factors in your bedroom can be easily adjusted, such as the darkness at night, light exposure in the morning, temperatures, noise, and electronics. Light and darkness are powerful cues for alerting your body in the morning and preparing for a restful sleep. 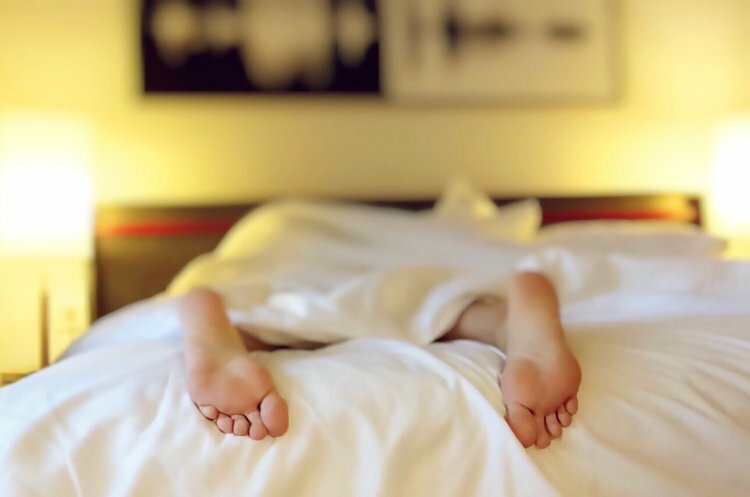 The Harvard Medical School released a study in 2010 revealing that artificial light exposure after dark signals the brain to wake up and suppresses the release of melatonin, the hormone that promotes sleepiness. The University of Chicago found in 2000 that morning light exposure results in a robust release of cortisol, the hormone that promotes alertness, and an instantaneous inhibition of melatonin secretion. Use low-wattage lights at the bedside table at night to minimize wakefulness. Open blinds in the morning to allow natural sunlight in the room to prepare your mind for wakefulness. Cover all windows at bedtime to prevent sunlight exposure at an inappropriate time in the morning. Bedroom noise can be a huge distraction when preparing for sleep. Quiet, dark, and cold environments are the most conducive for sleep. Use earplugs or white noise machines to lower noise, if outside noise becomes problematic. Turn off all electronic devices that could potentially create noise in the middle of the night. Set your room temperature to between 60 and 75 degrees Fahrenheit. Adjust this temperature to find the ideal number for you. Avoid letting pets into the bedroom at night, as they can be a source of constant disruption. Scientists have discovered that electronic devices can disturb sleep by sending alerting signals to the brain when used at night. Consider removing electronic items from the bedroom or turn them off an hour before bedtime. Read a book or magazine instead to allow your body to relax naturally. Taking a few small measures to promote more restful sleep can have a long-term impact on your daytime wakefulness. Gellis L, Lichstein K. Sleep Hygiene Practices of Good and Poor Sleepers in the United States: An Internet-Based Study. Behavior Therapy. 2009;40(1):1-9. Chellappa SL, Steiner R, Blattner P, Oelhafen P, Gotz T, Cajochen C. Non-Visual Effects of Light on Melatonin, Alertness and Cognitive Performance: Can Blue-Enriched Light Keep Us Alert? PLoS One. 2011;6(1):e16429. Gooley JJ, Chamberlain K, Smith KA, Khalsa SBS, Rajaratnam SMW, Van Reen E, Zeitzer JM, Czeisler CA, Lockley SW. Exposure to Room Light Before Bedtime Suppresses Melatonin Onset and Shortens Melatonin Duration in Humans. J Clin Endocrinol Metab. 2011;96(3):463-472. Hauri, P. J. (1991). Sleep hygiene, relaxation therapy, and cognitive interventions. In Case studies in insomnia (pp. 65-84). Springer US. Becker, P. M. (2005). Pharmacologic and nonpharmacologic treatments of insomnia. Neurologic clinics, 23(4), 1149-1163. Keefe, M. R. (1988). The impact of infant rooming‐in on maternal sleep at night. Journal of Obstetric, Gynecologic, & Neonatal Nursing, 17(2), 122-126.